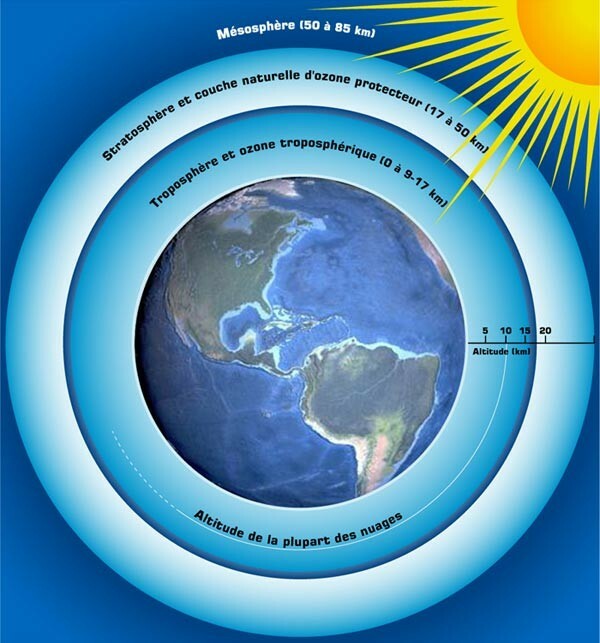 Developed by CNES, the IASI atmospheric sounding instrument flying on the MetOp-A satellite since 2006 has made the connection between the seasons and ozone in Earth’s atmosphere. For over 20 years, satellite observation of ozone has focused chiefly on stratospheric ozone and the notorious “hole” in the upper layers of the atmosphere. The IASI instrument flying on Eumetsat’s European MetOp-A weather satellite and designed by CNES has now gathered spaceborne analyses of ozone in the troposphere more precise than anything obtained until now. 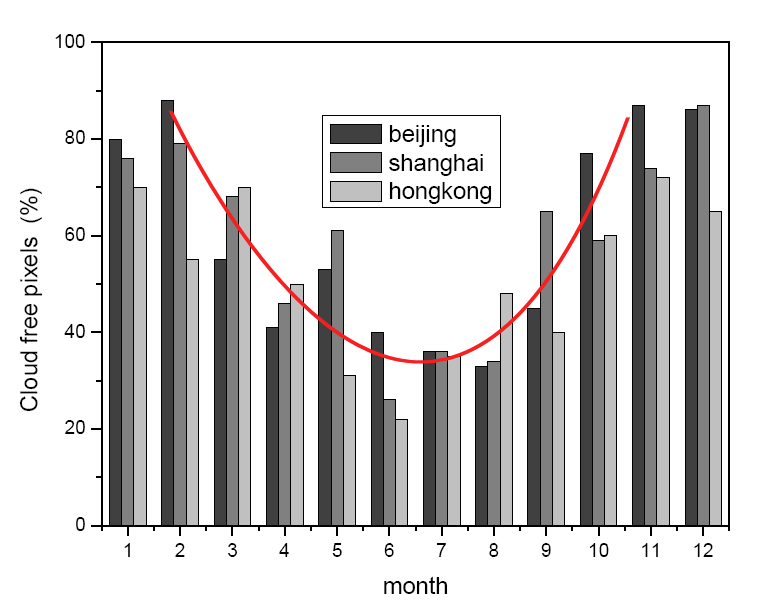 The LISA* joint atmospheric systems laboratory at Paris and Créteil universities published an article in June on the daily evolution of ozone in 2008 over 3 Chinese cities: Beijing, Shanghai and Hong Kong. IASI to measure air quality? Crédits : G. Dufour et al. The result is surprising, as it highlights ozone variations in the troposphere that follow seasonal cycles. 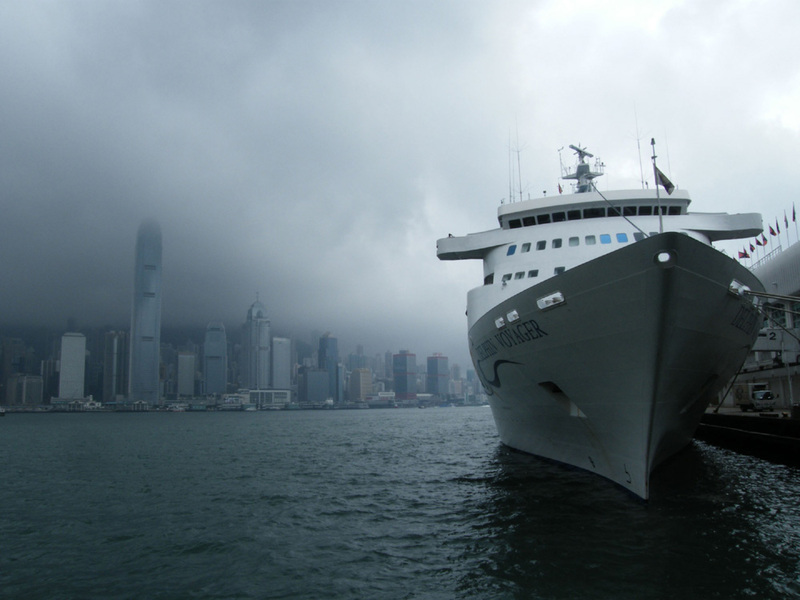 The study concluded that in the West ozone builds gradually from March until the end of summer, while in the East it drops between June and August as the monsoon draws colder air into the lower layers of the atmosphere. However, “to be able to track daily variations in air quality, we would need to fly this kind of instrument on a geostationary satellite. But MetOp-A is a non-synchronous satellite,” says Didier Renaut. The cloud of volcanic ash, as seen by Iasi in April 2010. Crédits : L. Clarisse (ULB)/ C. Clerbaux (LATMOS-CNRS). Since it was launched, IASI has nevertheless made significant contributions in this area. “IASI has made it possible to map ammonia emissions and also analysed the cloud of volcanic ash that recently blanketed Europe,” adds the specialist. Two more MetOp-A class satellites will be launched in 2012 and 2016, each flying an identical IASI instrument as part of a planned 15-year joint programme with Eumetsat. * Laboratoire Interuniversitaire des Systèmes Atmosphériques (Paris 12 and Paris 7 universities, CNRS).